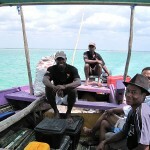 We offer day safaris to various islands in the Bazaruto Archipelago. Magaruque is the closest island to Vilankulo. Easy drift snorkelling off the base reef, island beaches to explore and sand dunes to climb on the eastern side of the island. Enjoy a delicious seafood lunch under some shade on the beach. 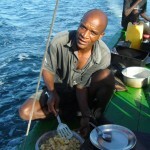 The safari also includes snacks on route, refreshments, snorkeling equipment and excludes park entry fees. The YouTube video on this page, courtesy of ‘Cooked in Africa‘, will show you what to expect on your day safari to Magaruque. Enjoy! Bazaruto Island is further away from Vilankulo, about 2.30min travelling time. The dunes on the south point are spectacular, and it may be possible to include a short visit to 2 Mile Reef if the tides of the day permit. There are snorkelling opportunities at the south point of Bazaruto, drifting with the current. Please co-ordinate with your tour translator as to the best area to snorkel on the day when you arrive at your destination. 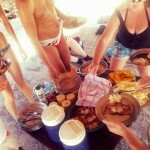 This day safari also includes lunch, snacks on route, refreshments, snorkeling equipment and excludes park entry fees.